I had a lot of fun with that Death Star. It was my favorite because I could fit many figures in it and play out stories there. I didn't like it at first though because I didn't think it looked at all like the Death Star. The only real resemblance was on the back panels. After I realized that it did have many of the components from the movie, I began liking it more. It had the trash compacter, the tower where Obi-Wan Kenobi disabled the tractor beam, a cool elevator, a "bridge type area", the giant planet-destroying laser cannon, and my favorite - The spot where Luke and Leia swung across to evade the oncoming Stormtroopers! 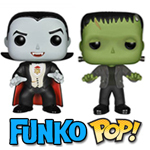 Unlike the movie, you could choose to have the figure swing across or you could extend the bridge. 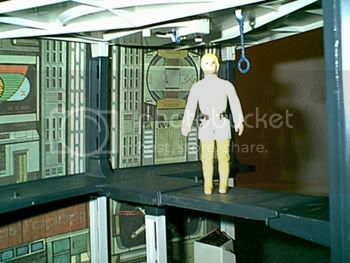 In the picture, Luke is standing on the bridge after is has been extended. 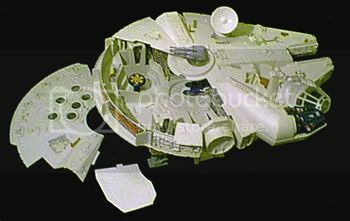 All in all this play set was great fun and is awarded the "my favorite Star Wars Playset Award". What was your favorite? 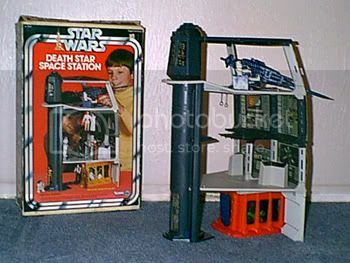 Even if you didn't have any playsets, was there one you wanted to have? I would appreciate your comments. Barbie had NOTHING over Princess Leia - a fashionista vs. freedom fighter? Come ON!!! I was Leia for Halloween 3 years in a row. Mom couldn't get the hairstyle exactly, thought. But, braids spiraled on the sides with a hundred bobby-pins was just fine for me. I loved the Death Star too. I had lots of adventures with that. 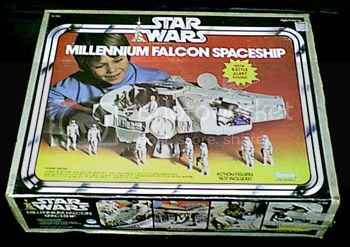 The Millennium Falcon was, however, cooler to me. 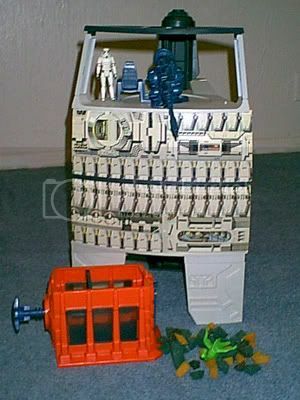 It was just so awesome to have a big spaceship that everyone could fit in, and still be portable. I wish more of it was open to play in, and I just loved all the detail along the edges. The techie-wiring-and-piping stuff was a big thing to me for some reason. My absolute favorite, however, was the droid factory. It was so cool to make new droids that were not in the movie. Thanks so much for this site. 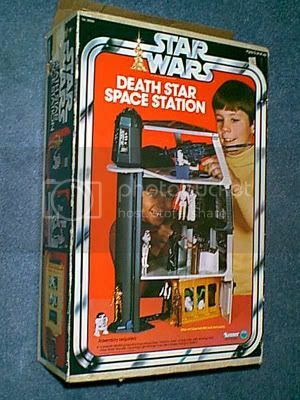 Well, now you made me realize how nice the death star playset really was and i wish now that my parents bought it for me! I'm a fan of both trilogies and the figures, but if i had to choose, definitly the x-wing with luke as a pilot, twin cloud cars, and darth vader's star distroyer. My parents only got me the slave 1 and came with boba fett!!! I love all star wars figures, you should have a posting of your favorite star wars figures. 1. 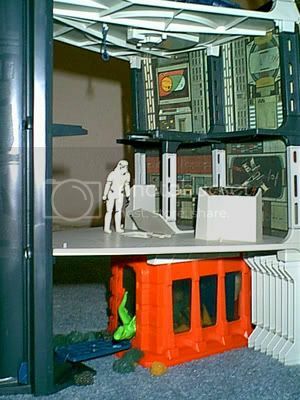 When you look at the side of the play set with the cardboard walls, it resembles one of the gun towers near the trench where the Rebels attacked the Death Star.